Mosquitoes be gone! Check out these five methods for banishing mosquitoes from your yard, your home, and yourself! What are the best ways to deal with mosquitoes? According to pest experts (pestperts? ), the most effective way of dealing with mosquitoes is a multipronged attack in three major areas: your yard, your home, and yourself. Follow these tips to take those little bloodsuckers down on all three fronts. One of the keys to keeping away garden pests and mosquitoes is creating an environment they don’t want to be in, and mosquitoes want to be in areas with stagnant water they can breed in. Keep in mind that even tiny amounts of water lingering in planting beds or on leaves can create a potential breeding ground that draws in mosquitoes. According to Dr. Jim Fredericks, chief entomologist for the National Pest Management Association, mosquitoes can breed in something as small as a bottle cap with a few drops of water in it. 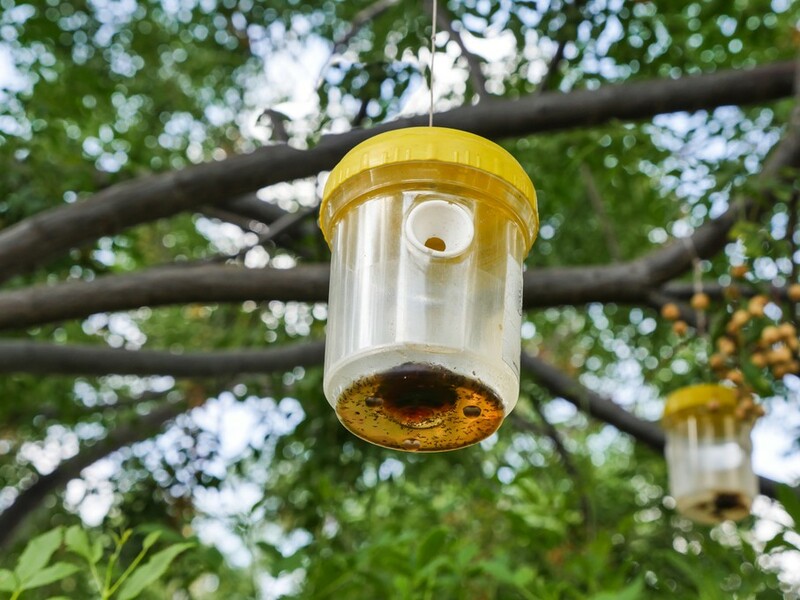 He says, "The good thing is that they can't fly very far, so if you can eliminate breeding spots on your property, you can greatly reduce the number of mosquitoes near your house." Remove as much yard debris, like leaves and mulch, as you can. Keep your gutters and downspouts free of debris and standing water. Empty any container in the yard that might hold water. (Mosquitoes think wading pools, watering cans, empty planters and sagging swimming pool covers are honeymoon resorts). If you have birdbaths, frequently change the water. 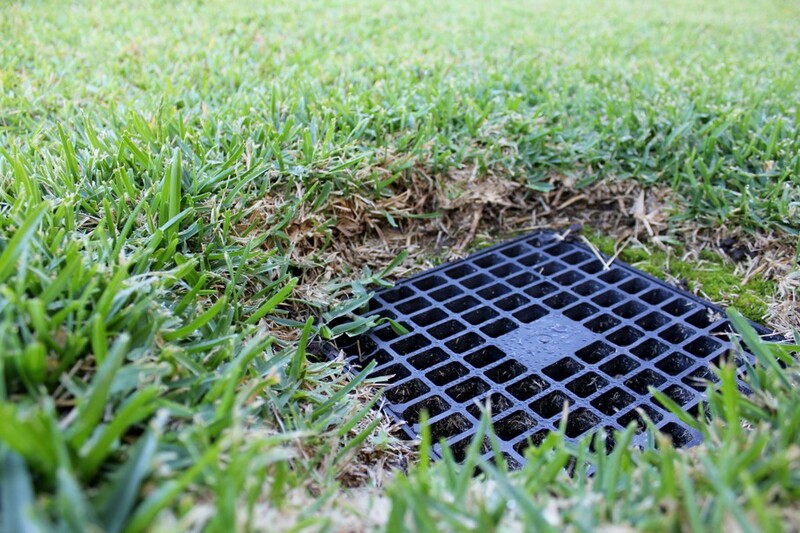 If you have low areas where water can stand, install a drainage system. When you enter and exit your home, do so as quickly as possible to lessen their opportunity to fly in. 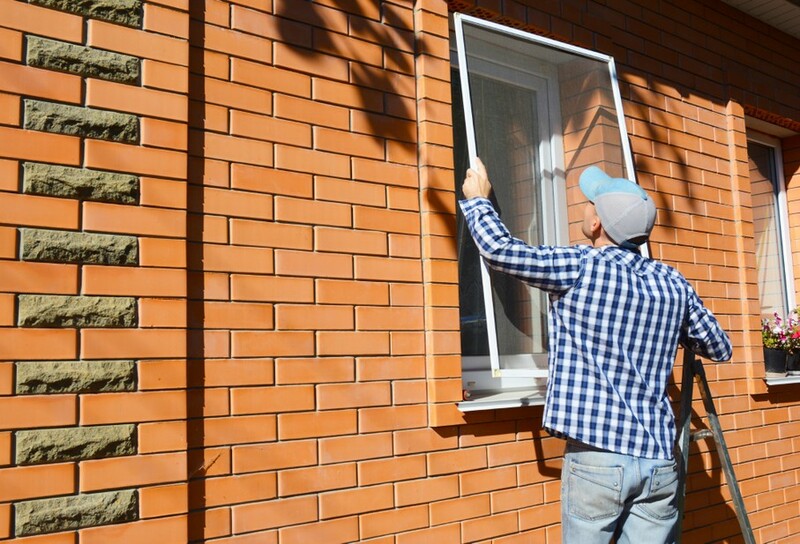 Keep doors and windows closed unless they’re covered with screens. Keep screens in good repair. Look for small holes in screens and repair them if you find any. Mosquito traps attract mosquitoes with either some sort of attractive substance or with light, and once they take the bait, can’t get out. You can either make your own moaqiuto trap with a mixture of water, brown sugar, and yeast inside an empty plastic soda bottle, or you can buy mosquito traps at discount or hardware stores. It’s best to place mosquito traps near prime mosquito-breeding areas. Find the dampest part(s) of your yard and put the trap(s) upwind of those spots. Obviously, you should put traps far away from places you frequent in your yard, such as a garden or pool. You don’t want to invite mosquitoes to your outdoor parties. You can apply chemical treatments with a hose-end sprayer to every part of your yard. Just keep in mind that some mosquito repellent chemical treatments may be harmful to plants and flowers. Check the packaging to be sure. Mosquito foggers are easy to use and don’t require a hose or hose-end sprayer, but they can still cover a pretty large area. Similar to foggers, aerosol sprays work better in more confined areas. Mosquito dunk tablets can be added to standing water in ponds or birdbaths. They’re formulated be deadly for mosquito larvae but safe for any birds or other animals that may stop by for a sip or a bath. 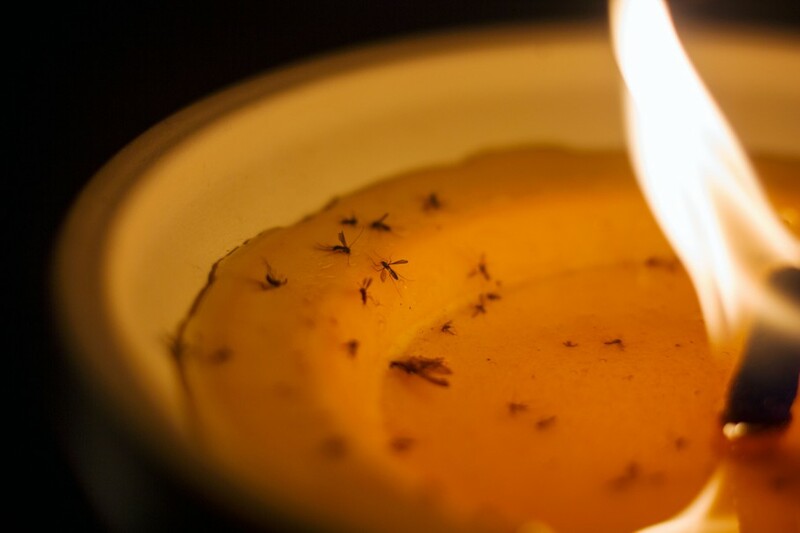 Set up one or more citronella candles on your deck or patio when you’re outside to keep mosquitoes away. DEET-based personal mosquito repellents come in both cream and spray forms that you can apply to your skin and clothing. You can also clip battery-powered DEET-based repellent gizmos to your clothing. My husband and I prefer these devices to using DEET sprays when we go for hikes with our dog. If you’re feeling industrious, you can also make your own natural mosquito repellents using ingredients like essential oils. You’ll need to experiment with various recipes to see what works for you. If you follow these tips, you’ll be well on your way to dealing with mosquitoes without getting slap-happy. Do you have any other mosquito-fighting tips that have worked for you? Please share them in the comments below.